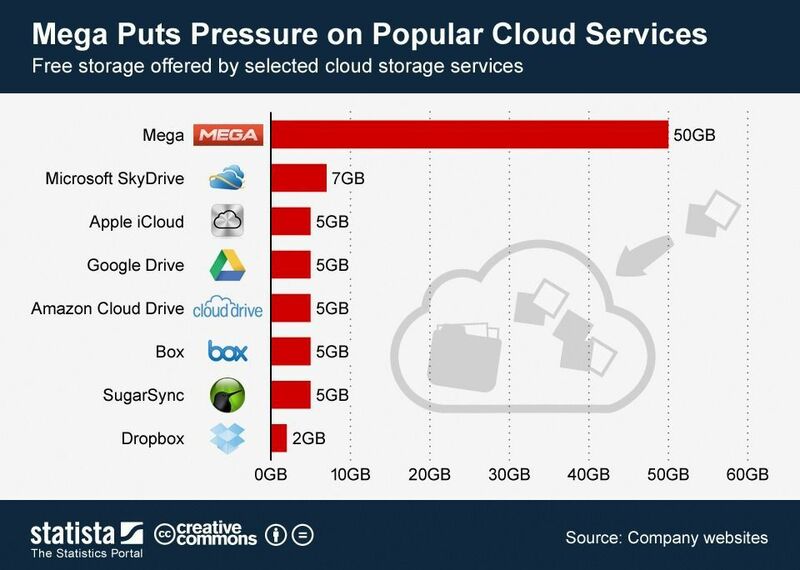 Just days after Kim Dotcom, announced cloud storage service with 50 GB storage, it seems that Kims worries are far from over. First the site was crashing and now Anonymous has hacked the site. "The massive global PR around the #Mega launch is simply to big to handle for our start-up. I apologise for poor service quality"
Mega which started its service with a million registrations, on the launch day itself, which it seems even Kim had not anticipated, was to much for the service. Dotcom has also written about his music storage service called Megabox and issues related to problems with Mega "We are working 24/7 and expect normal operations within 48 hours. Lesson learned... No fancy launch event for Megabox ;-)" he wrote. Dotcom hopes to launch Megabox within six months. Dotcom critisized the Mega opposer vehemently. While the sites blog dismissed most of the allegations pinned on to the service, he did concede that certain areas of Mega's security will need improvements, especially when it comes to password options. A password change feature will re-encrypt the master key with your new password and update it on its servers. A password reset mechanism will allow you to log back into your account, with all files being unreadable. Now, if you have any pre-exported file keys, you can import them to regain access to those files. On top of that, you could ask your share peers to send you the share-specific keys, but that’s it – the remainder of your data appears as binary garbage until you remember your password. A feature that allows the user to add as much entropy manually as he or she sees fit before proceeding to the key generation. Ars Technica and Forbes had both come out with different versions opposing the launch of Mega. Ars criticised the use of the block deduplication by Mega. Dotcom wrote back, "Fact #1: Once this feature is activated, chunk MACs will indeed be stored on the server side, but they will of course be encrypted (and we will not use ECB!). Fact #2: MEGA indeed uses deduplication, but it does so based on the entire file post-encryption rather than on blocks pre-encryption. If the same file is uploaded twice, encrypted with the same random 128-bit key, only one copy is stored on the server. Or, if (and this is much more likely!) a file is copied between folders or user accounts through the file manager or the API, all copies point to the same physical file." Forbes spoke about how an attacker could potentially gain access to your data on Mega by finding weaknesses and turning off encryption. Dotcom, in an elaborate explanation, detailed how Mega is concerned about keeping user data safe. Now Forbes's fears have come true with Anonymous today hacking the site and in a obvious U turn posting a tweet calling Kim a Snitch at its twitter handle @YourAnonNews, calling him a snitch. Anonymous has dubbed Dotcom 'master of delusions, illusions and double crossing'. Eighteen months before Megaupload was indicted in the United States, authorities asked the service to keep some files on their servers to help in a separate IP investigation against five of its users who ran a service called NinjaVideo that piggybacked off Megavideos services. While Dotcom obliged initially, he later accused the authorities of using the same files against Megaupload while shutting the service down in 2012. According to a wired report, newly unsealed documents have shown that the files Dotcom had held on to were used in the investigation and subsequent conviction of the NinjaVideo founders. This must have upset the Hackers group. The Anonymous blog post read, "In the Wired article, it outlines that in June of 2010, Dotcom agreed to keep secret a warrant by the DHS HSI IPR Center of Carpathia hosting, and was told by HSI that he was not target of the investigation, which he had in fact been a target of since January of 2010. Dotcom 'cooperated' in the 'spirit' of 'being a good corporate citizen', which apparently means ratting small fish out so the the top dog can stay king. Kim Dotcom thinks he can play both pirate and 'good corporate citizen' at the same time, but one cannot be both. Kim Dotcom broke the pirate code. He is a snitch, and needs to be exposed to the world as such. Hana Beshara, 'Queen Phara', has been sitting in FPC Bryan in Texas for the past year awaiting release this August because Kim willingly cooperated with this investigation, thinking he would be building a rapport with the IPR fanatics at DHS. Matthew David Howard Smith, aka (Dead1ine), founder of NinjaVideo, will be released from Butner Penitentiary in North Carolina this April." This is a nail in the coffin for Kim Dotcom who people thought was pro hacker but the Anonymous action has proved otherwise. Now Kim and his Mega are caught up in a mess with authorities one side and hackers group Anonymous. If you visit the site now it says it is unavailable at one time and opens up at another instance, however you don't receive any mail when you try to register. I tried and failed. Post your comments regarding above article. I liked your blog.Thanks for posing.